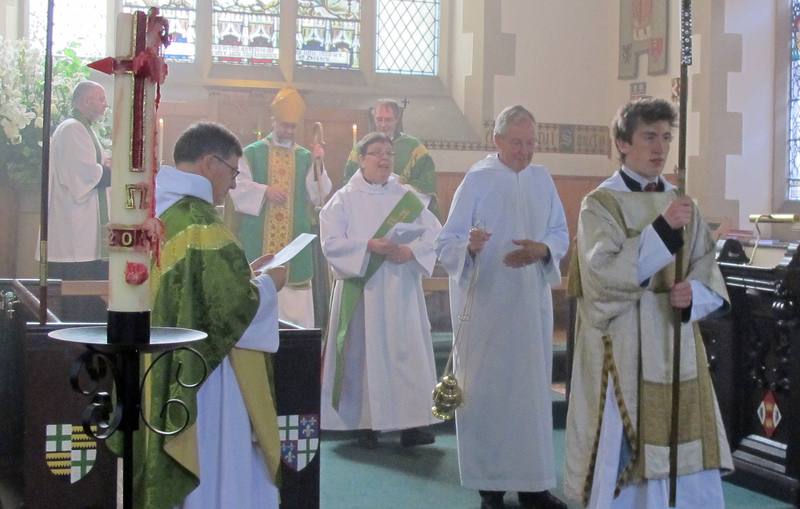 Commissioning of Dr Mike Hull – St Vincent's Chapel, Edinburgh, the village church in the heart of the city. 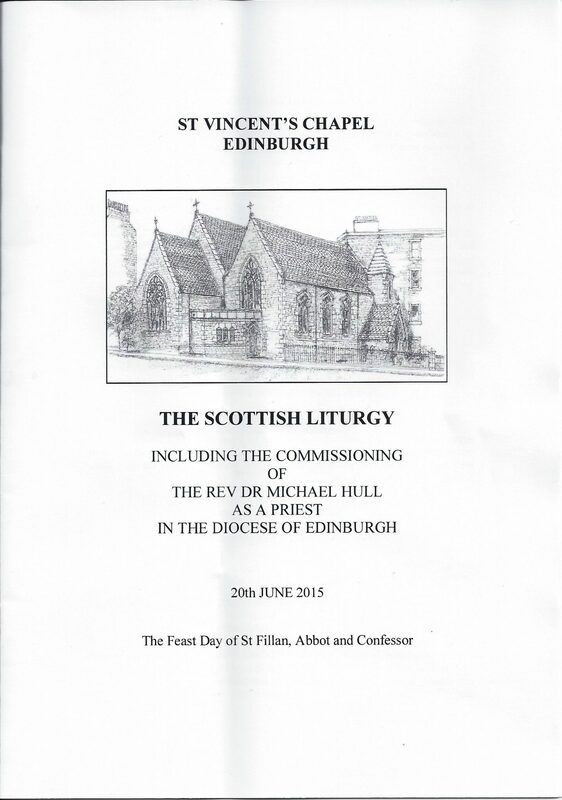 Order of Service for the Commissioning of The Reverend Dr Michael Hull on 20th June 2015 in to the Scottish Episcopal Church at St Vincent’s. 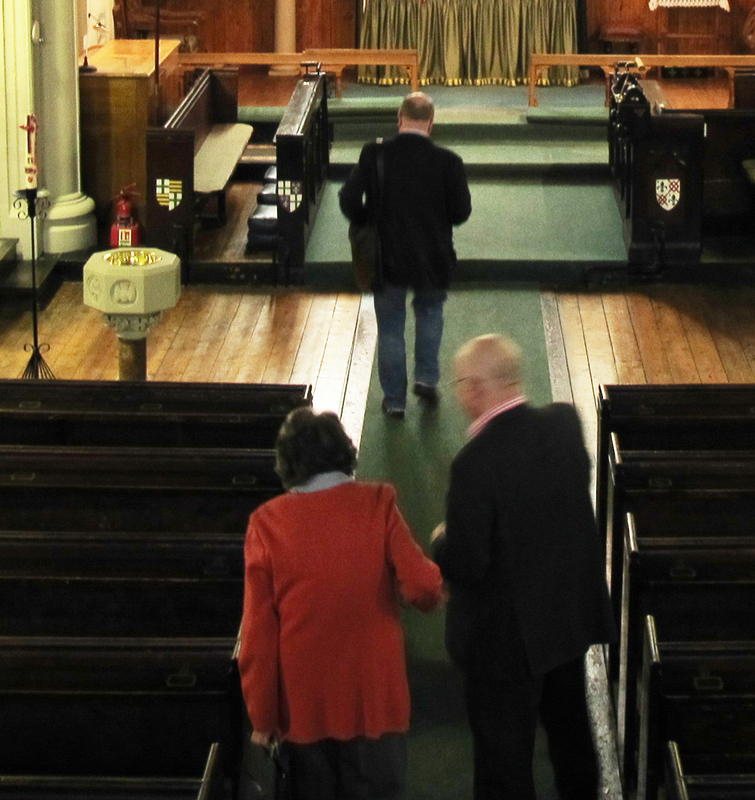 He is Director of Studies for the Scottish Episcopal Institute. 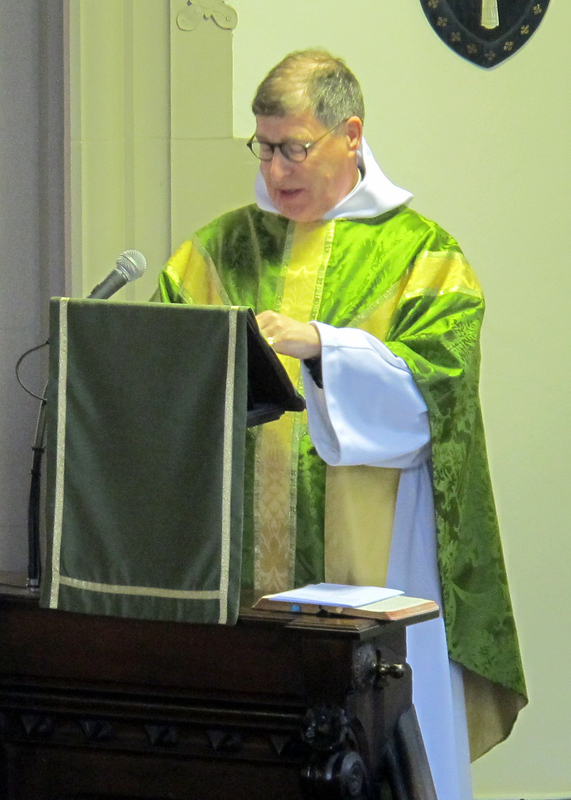 The Right Reverend Monsignor Michael F. Hull, S.T.D. was between 2009-2014 Pastor of the Church of the Guardian Angel in the Roman Catholic Archdiocese of New York, located in Manhattan. He was also Professor of Sacred Scripture at St. Joseph’s Seminary (Dunwoodie) in Yonkers, New York, and a Censor Librorum of the Archdiocese of New York. 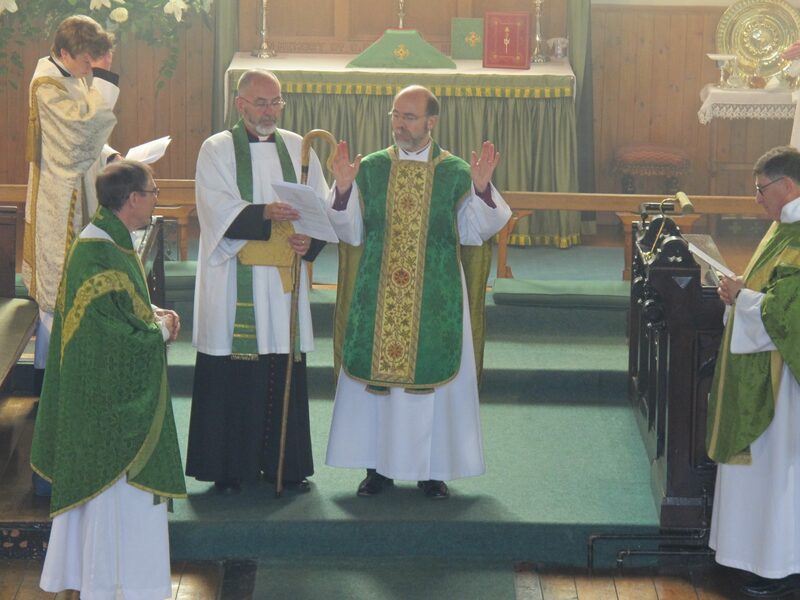 Canon Allan Maclean, Rector, welcomes the congregation. 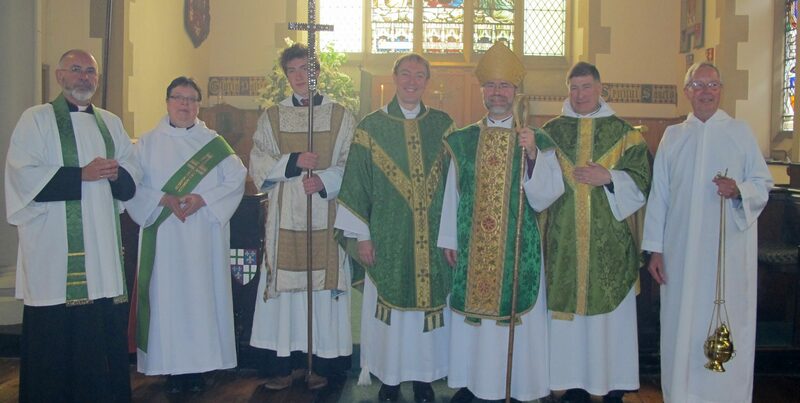 The clergy process in for the Service of Commissioning. 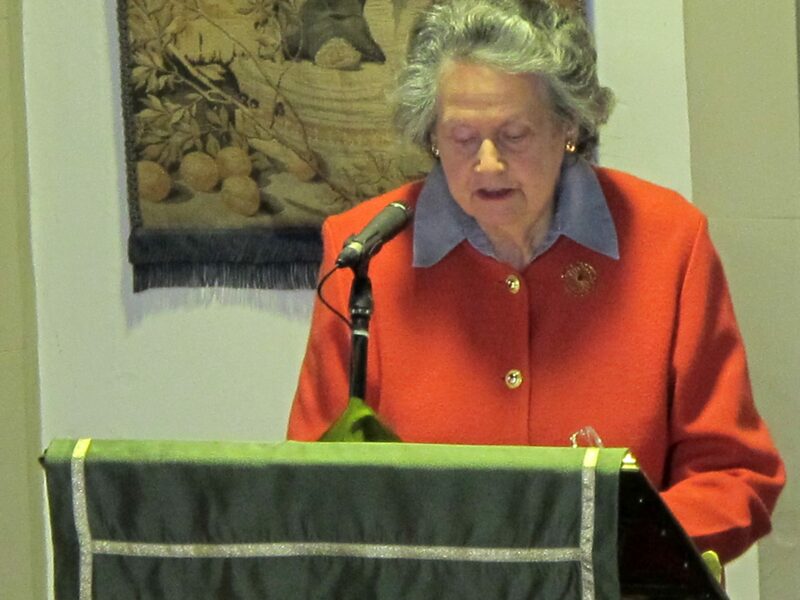 Susan Paul reads from the 4th Chapter of the Epistle to the Ephesians. 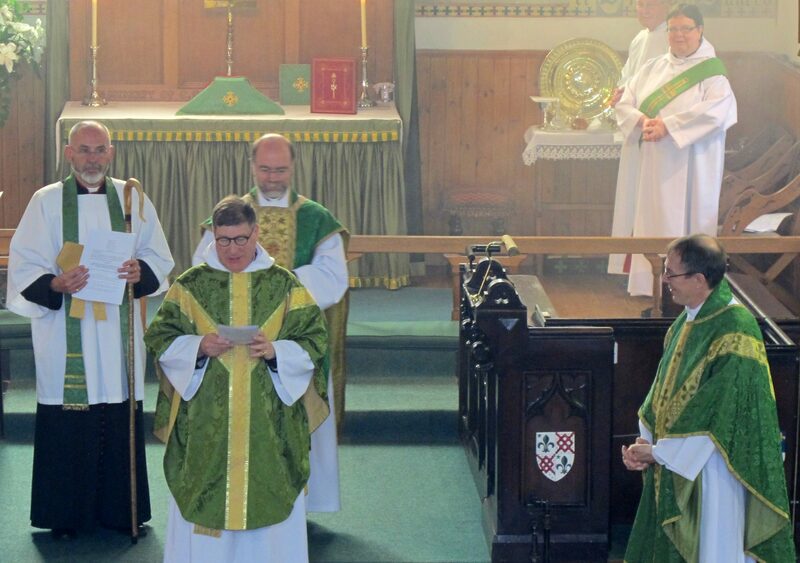 The Rector, Canon Allan Maclean preaches on the subject of St Fillan. 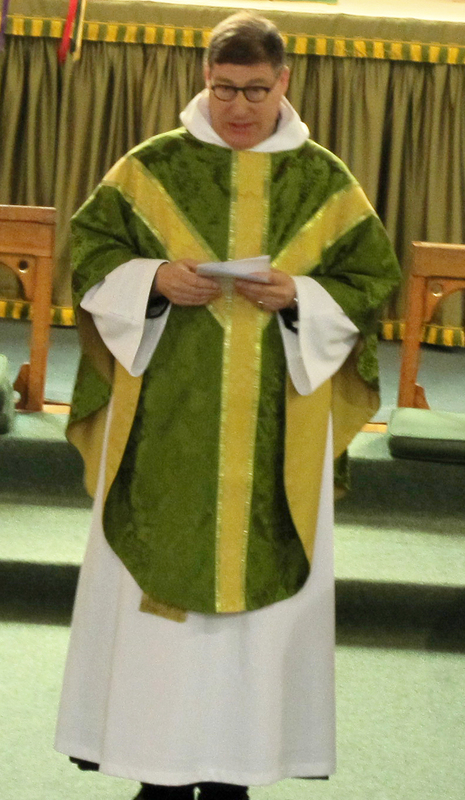 The Right Reverend Dr John Armes, Bishop of Edinburgh, at St Vincent’s on 20 June 2015 for the Commissioning of The Reverend Dr Michael Hull as Assistant Priest. 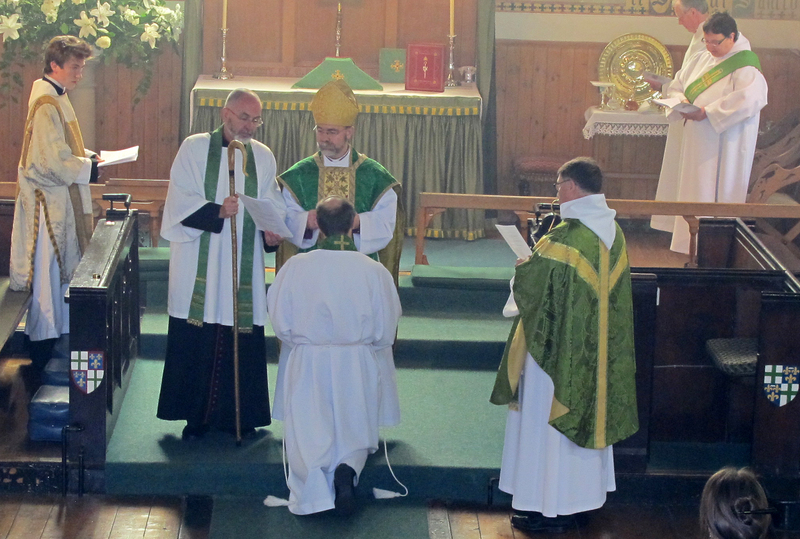 The Bishop of Edinburgh commissions The Reverend Dr Michael Hull. The Bishop of Edinburgh with his Chaplain, The Reverend Canon Dean Fostekew, at the Commissioning of The Reverend Dr Michael Hull. 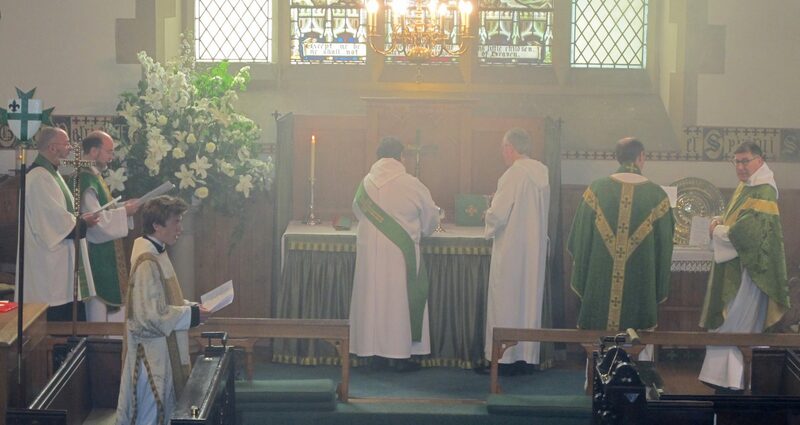 Communion preparation with the Sacristan and The Reverend Canon Dr Anne Tomlinson, Principal of the Scottish Episcopal Institute in a haze of incense. 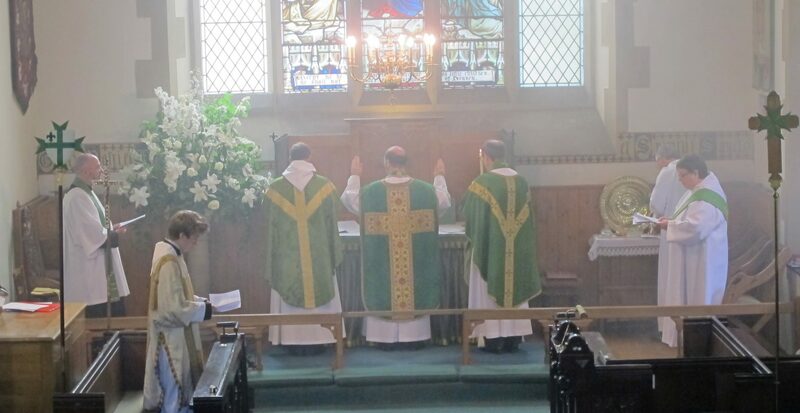 Celebrants – Bishop of Edinburgh, St Vincent’s Rector and its new Assistant Priest, in a haze of incense. 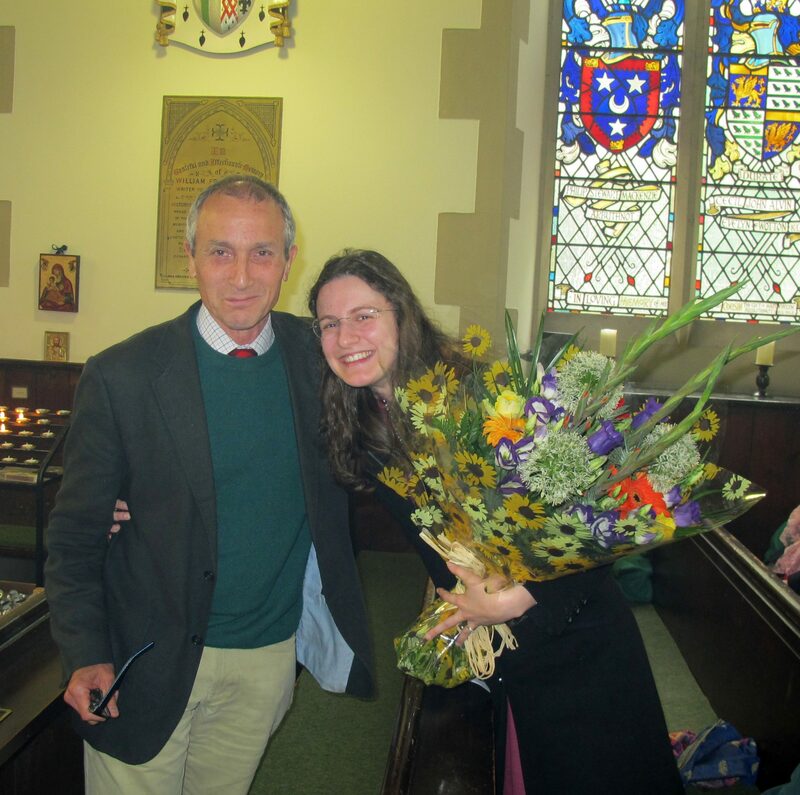 Vestry member James Holloway presents flowers, speaking in Italian, to Mrs Eleonora Hull. 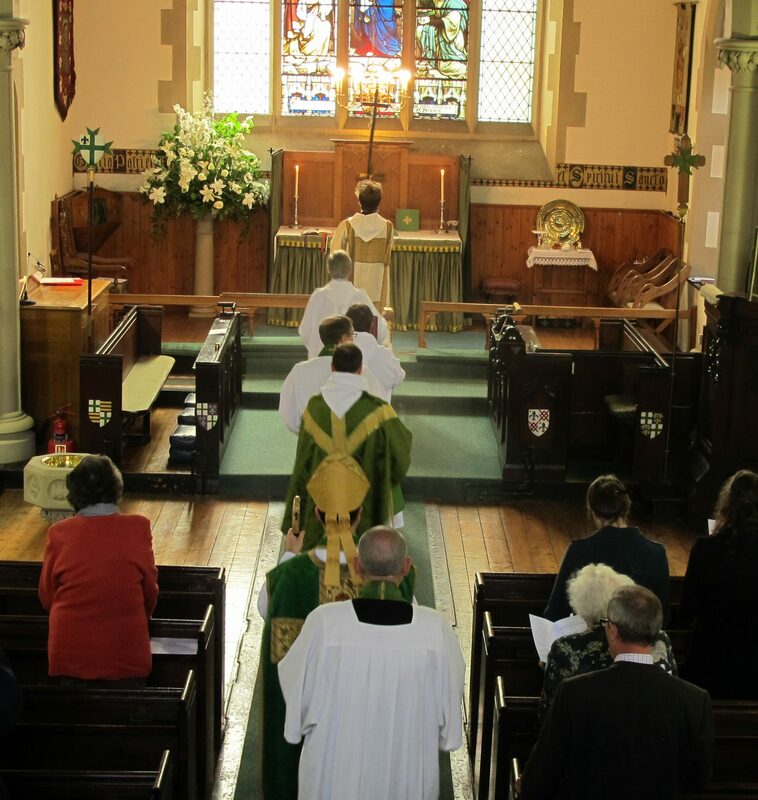 The clergy are led away by Lochie Maclean, the Rector’s son. 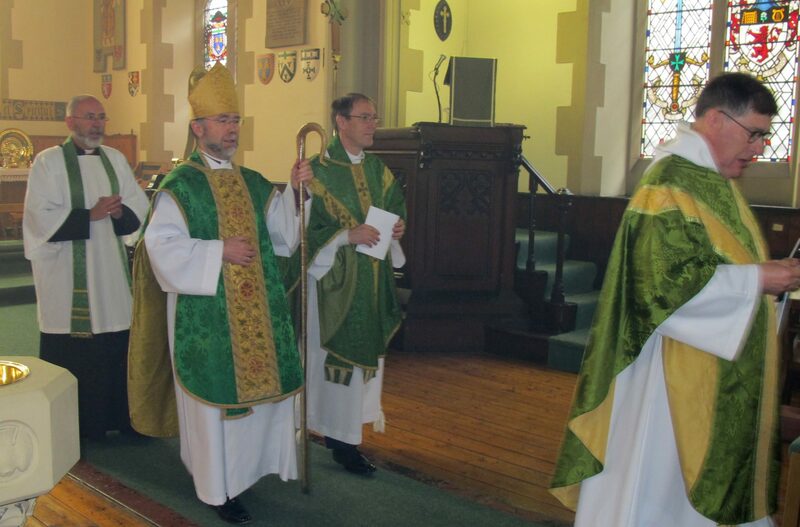 Canon Dean Fostekew, Chaplain, The Bishop of Edinburgh, The Reverend Dr Michael Hull and the Rector of St Vincent’s. 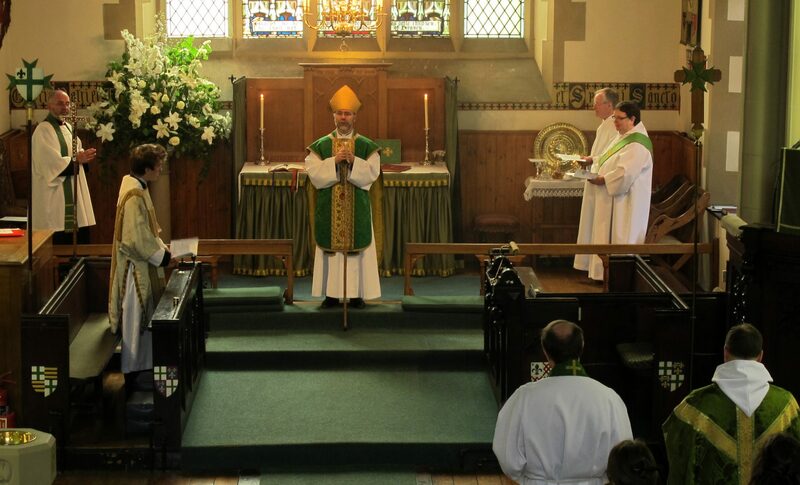 The altar party following the Commissioning of The Reverend Dr Michael Hull at St Vincent’s on 20 June 2015. 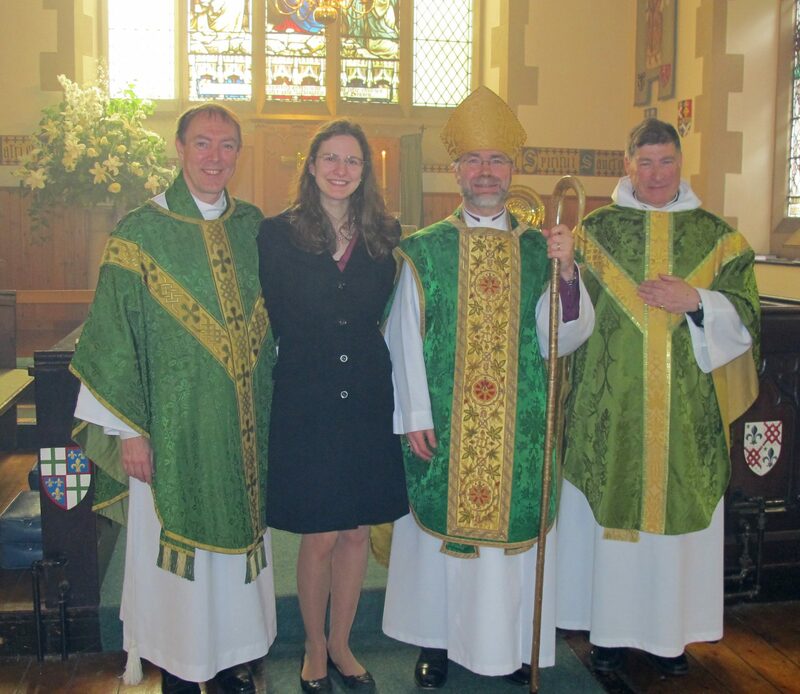 Michael and Eleonora Hull, The Bishop of Edinburgh and the Rector of St Vincent’s on 20 June 2015. 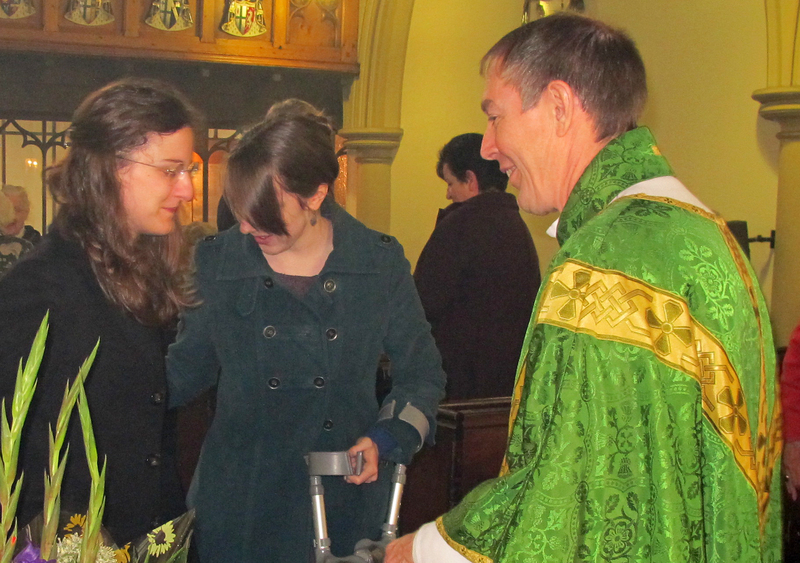 Michael and Eleonora Hull with a friend following the Service of Commissioning on 20 June 2015.